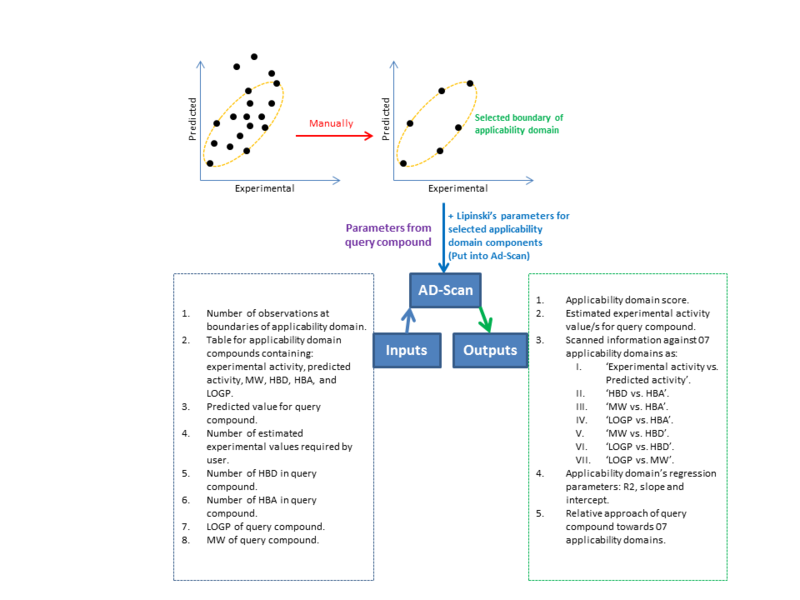 AD-Scan tool is open source software (web & command-line) for processing QSAR output & Lipinski’s parameters for query compound against 07 applicability domains. This allows researchers analysing their query compounds as post-QSAR step. The software calculates ‘estimated experimental activity range as well as values’ for predicted value. It also offers decisions drawn from 07 different applicability domains along with compounds relative approach towards applicability domains.